The Washington State Department of Natural Resources (DNR) is proposing to log over 1,200 acres of state forest lands burned during the 2015 Okanogan Complex Fire. The West Fork Fire Salvage timber sale would clear forests with ground-based machinery on exposed, erosive soils. Research has shown this type of logging dramatically boosts soil erosion, crushes forest regrowth, and undermines forest recovery. The timber operation would take place in the Loup Loup Creek watershed which feeds into the Okanogan River at Malott. Loup Loup Creek provides essential spawning habitat for endangered steelhead trout. We’ve filed an appeal of this large timber sale, citing concerns that the sale offers minimal financial gains in return for substantial risks to the environment and public infrastructure. To address erosion concerns, DNR proposed small buffers along streams and other measures. Yet, the stream buffers applied are designed for unburned forests and assume live vegetation will filter out sediment generated upslope. Many stream-side forests in the burned area lack capacity to filter sediment and control erosion. Additionally, imperiled steelhead trout have rebounded in lower Loup Loup Creek in recent years after a coordinated effort by Okanogan County, the Colville Confederated Tribes, and others to restore habitat quality. Over 3,000 acres of logging is planned or active in the watershed, potentially putting this comeback at risk. An appeal of the West Fork Fire Salvage timber sale was filed with the Superior Court in Okanogan County on Thursday, February 11, 2016. 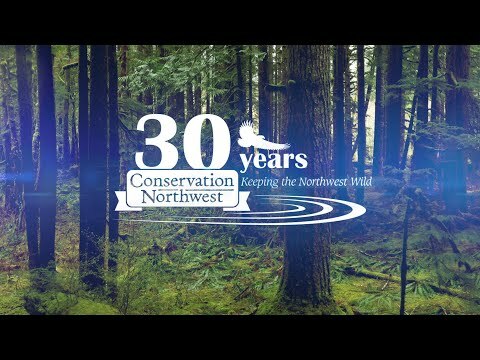 Conservation Northwest will be represented in the appeal by Wyatt Golding and Peter Goldman of the Washington Forest Law Center.